Nobody can deny the thrill of gambling. When you win big it feels like the best thing in the world! With just a few dollars, you can have a ton of fun and the chance to make off with quick money. But where is that fine line between having some fun at the casinos and developing a gambling addiction? Read on about the signs of a gambling addiction and what to do if you have any of them. It’s not always easy to realize you have a gambling addiction. Gambling is not all about huge jackpots at the slots, fancy blackjack tables, and glitzy casinos. Buying lotto tickets, making friendly bets, and even your local Boy Scout raffle are all types of gambling. Thanks to technology, gambling today is more addictive than ever. Many casual video games now a type of gambling in the form of mini-games and “loot boxes“. These don’t look like gambling, but they tick all the right boxes. Whatever the form, gambling can become an addiction when you feel you have a problem with it that can be solved with more gambling and you can’t just stop. Some gamblers bet to earn back the money they have lost, while others focus on getting huge adrenaline thrills from risky bets. So, what to do if you suspect you or a loved one have a gambling addiction? Here are the most common signs you should be looking for. All addictions have some kind of repetitive pattern in their core, and gambling addiction is no different. When you lose and feel like you have to double down to get back the money you lost, you are entering into the vicious cycle of gambling addiction. Many gamblers will say they are just trying to get back the money they lost from previous bets. This is an excuse to keep on gambling that will only get them to lose more in the long run. The moment you stop see gambling as a form of entertainment and treat it as some kind of investment, you have begun developing an addiction. Compulsive gambling will bring about certain behavioral changes. Most gamblers feel depressed when they don’t have enough money to fuel their addiction. They are prone to become withdrawn from their social circles unless they can somehow use their friends and family to fuel their gambling addiction. Gambling addiction can bring about changes in multiple lifestyle patterns, including sleeping, eating, and sexual activity. Compulsive gamblers will be less interested in all of the above as their addiction progresses. Compulsive gamblers can gamble the night away. If you find yourself spending more than a couple hours each week on gambling, you might have a problem. While unexplained absences and a tendency to always be late are not direct signs of gambling addiction, they can point at a bigger problem. If your loved one is in the habit of taking sick days for no apparent reason or gets lost for hours during the day with no excuse, then they might be out gambling. If you gamble with real money, it is going to show in your bank statements. The missing money is always a strong sign of gambling addiction. In more serious cases, gambling addicts will pawn jewelry and household valuables when cash runs out. If your loved one is secretive about their financial records, or if they consistently fail to pay their utility bills even though they are employed, then perhaps they are spending all their money on some addiction. If you find yourself spending more than half your wage each month on casino games, then you should seek help immediately. When you have a gambling addiction, all the money in the world is not enough. Pathological gamblers will eventually resort to borrowing money. At first, borrowing money starts off innocently enough. A few dollars from friends and family. However, as their addiction becomes more serious, gamblers will try to borrow money from their co-workers or even from strangers to keep on playing. Paying off a gambling debt is difficult and emotionally exhausting for a person suffering from a gambling addiction. When they get some money in their hands, compulsive gamblers will feel the urge to win back the money they lost through gambling, instead of paying back their debt. Finally, pathological gambling can lead to stealing and fraud. Criminal behavior is the most serious complication of gambling addiction. If you feel the urge to commit a crime because of your gambling addiction, you should seek help immediately. No thrill is worth the risk of landing into jail. Instead of becoming a criminal to fund your habit, make brave decisions and seek help right now! Final Thoughts: You Are Not Alone! Now that you know the signs of a gambling addiction you can tell if you or a loved one is suffering. No addict can just make up their mind and stop gambling. Here at the Blair Wellness Group, we know that gambling addiction is a complex mental condition with multiple factors at work. If you feel helpless, remember that you are not alone. Psychological can help you or your loved one get free from the compulsion to gamble. 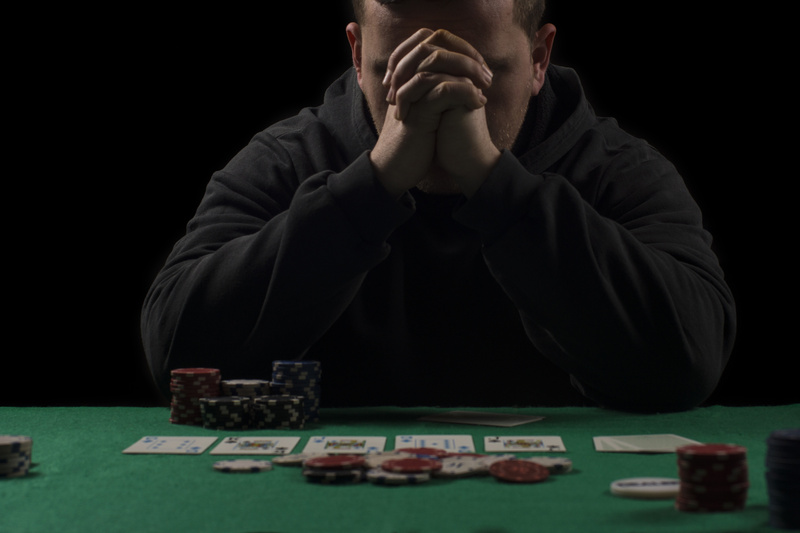 Counseling can give you the tools you need to end your gambling addiction. So, don’t hesitate to contact us today about your gambling problem.